Michael graduated from the University of New South Wales (UNSW), School of Optometry and has been managing his own practice for over 15 years. Michael also devotes valuable time teaching at two tertiary institutions. He is a Clinical Supervisor for final year Optometry students at the UNSW and also teaches Optical Dispensing at Sydney TAFE. Michael is also highly involved in student workshops and research which has contributed greatly in making him such an experienced and dedicated Optometrist. Your appointment with Michael is always an enjoyable experience. It is very informative and he takes the time to explain any questions you may have on eye health. 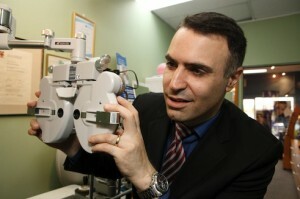 Peter Zakis is our other miracle worker here at Michael Michael Optometrist! 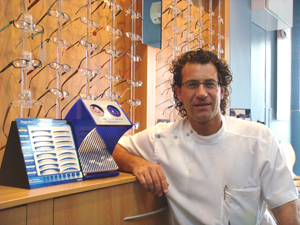 His extensive experience in dispensing (lens fitting) has made him one of the best in Sydney. He has a strong eye for detail and can fix the unfixable.